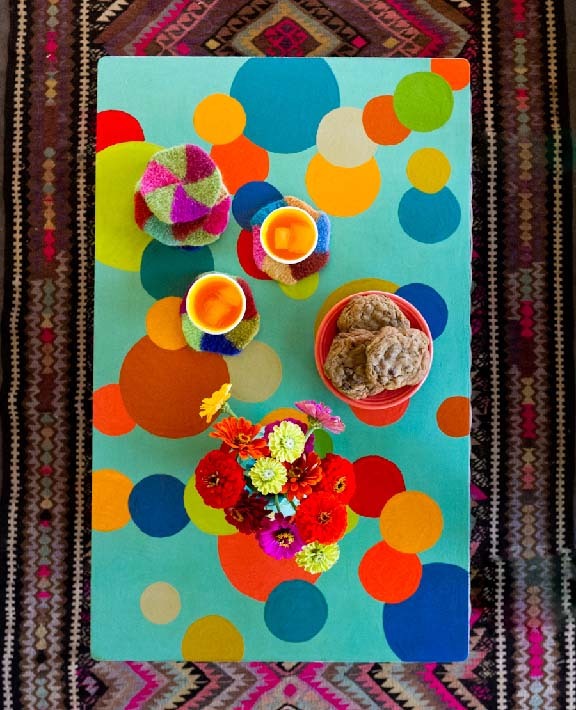 I flipped the coffee table top over on the porch a few weeks ago for the Country Home photo shoot. 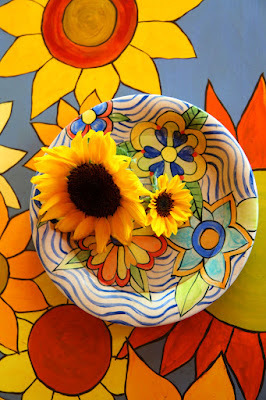 We laid down one of my plates and placed some pretty sunflowers on it. What a cheerful way to celebrate summer. The other side of the tabletop looks like this. It is a project from my book "Crafting A Colorful Home." The book includes complete instructions for making the circles tabletop. 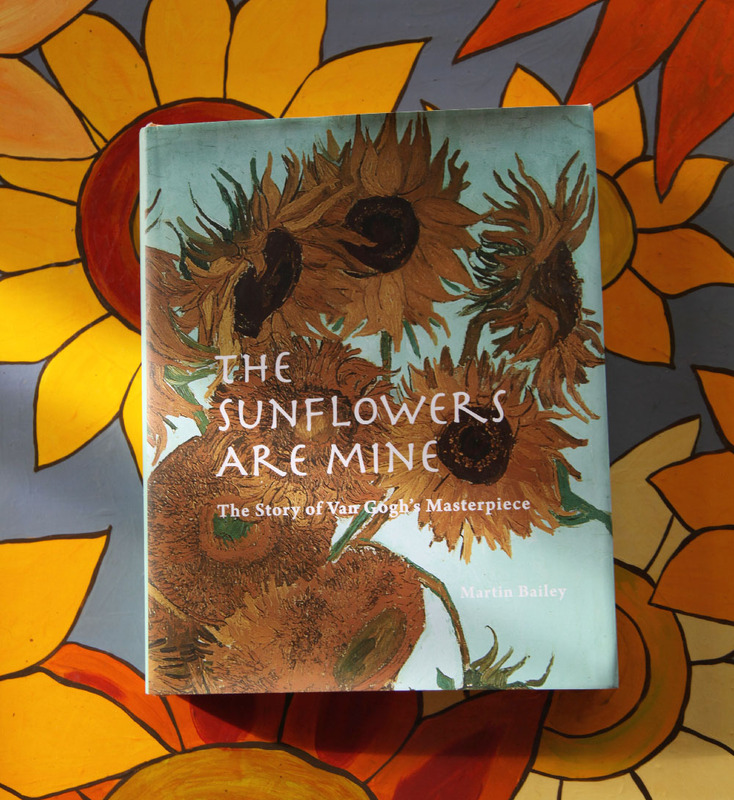 In celebration of the finale of the blooming of the sunflowers here at the farm, I want to share with you a book I just read called "The Sunflowers Are Mine." 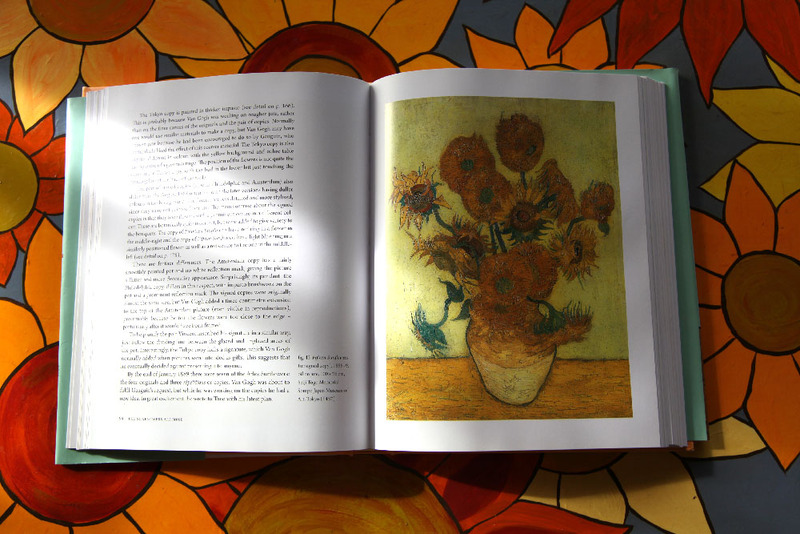 Written by Van Gogh scholar Martin Bailey, this book is a two part story. 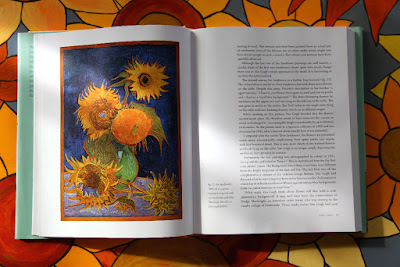 The first section tells the story of how and why Vincent Van Gogh painted his sunflower paintings. 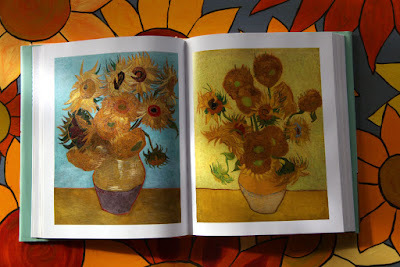 I learned that he painted the famous oil paintings to decorate his yellow house that he was renting in Arles in Provence. He wanted to have beautiful paintings on the wall when his friend Gaugin arrived. What I didn't realize is that Vincent painted several different sunflower paintings. These works of art are among the most recognizable paintings in the modern world. He began with Three Sunflowers. Then he painted Six Sunflowers. Next was Fourteen Sunflowers. 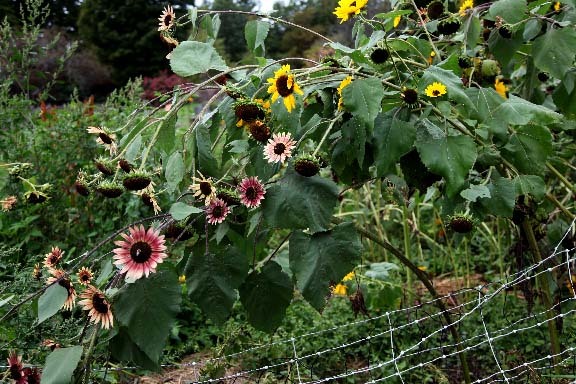 And then Fifteen Sunflowers. These four paintings were done in 5 days! 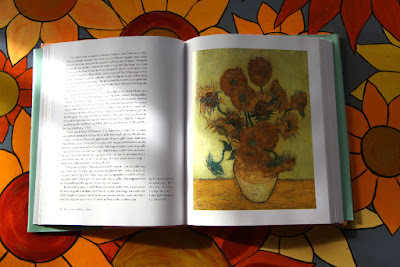 After the success of these paintings, he went on to make several copies of his sunflower paintings. Some were signed by Vincent and some were not. 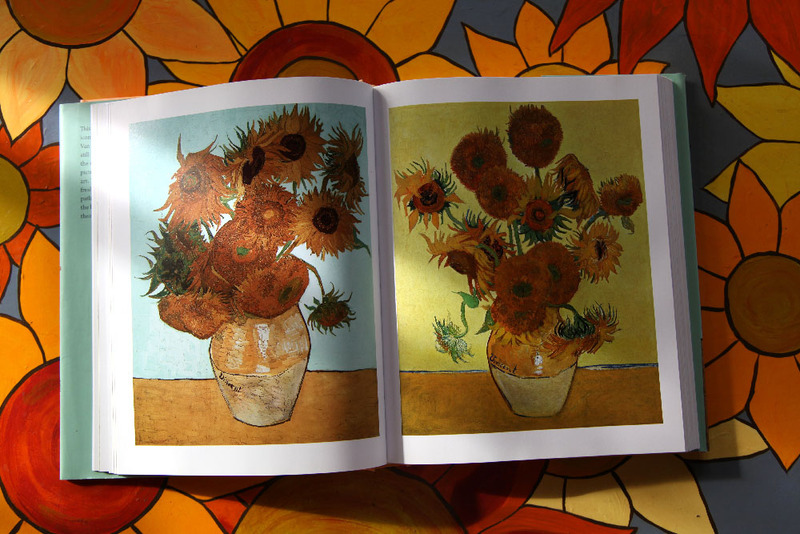 All of these paintings became the property of Vincent's brother Theo and his wife Jo after Vincent committed suicide. Theo died shortly after and Jo was left with not only these paintings but hundreds of others. That is where Part Two of the book begins. What an interesting tale of how Jo got Vincent's work out there to the public and how poorly it was received. Over the years, the interest in his work increased and she slowly sold the work. Not only are the initial sales by sister in law Jo of Vincent's work described but the progression of the fame of the Sunflower Paintings is followed. As Van Gogh's fame spread, his paintings increased in value by crazy amounts. You will have to read the book to learn more. I encourage you to if you are interested in art and art history. It is a fascinating read. Here is an interesting short article from The Guardian about the writing of the book. 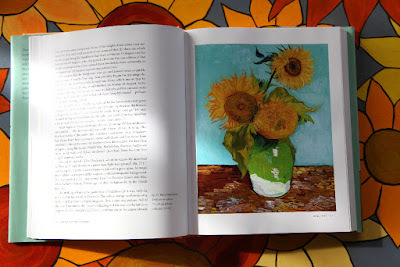 If you are interested in art and Van Gogh in particular. Here is my affiliate link to purchase the book via Amazon. It is a great read. yeah, it's the same deal with the irises... Lots of different versions. Not surprising really as he would go out for hours EVERY DAY weather [and art supplies] permitting! -- Then again, the shape and textural look of both flowers are so malleable to a variety of interpretations and molded into his perfectly. BTW, yours aren't so bad either!